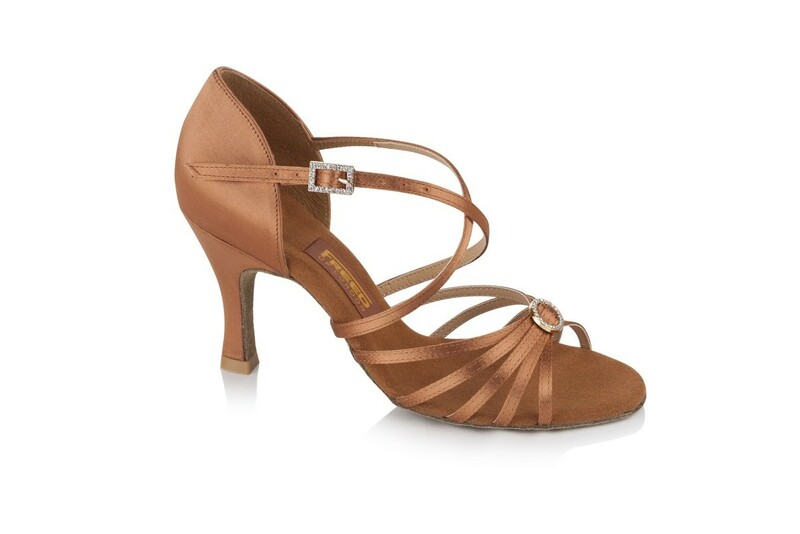 A popular ladies latin shoe which features a strappy vamp with a Diamante center piece and matching quick release diamante buckle for easy fastening with a 2.5 slim flare heel. NOTE: English to American Sizing is approximate. The information is shown as a guide only and not a guarantee. Actual fitting may vary.